1. 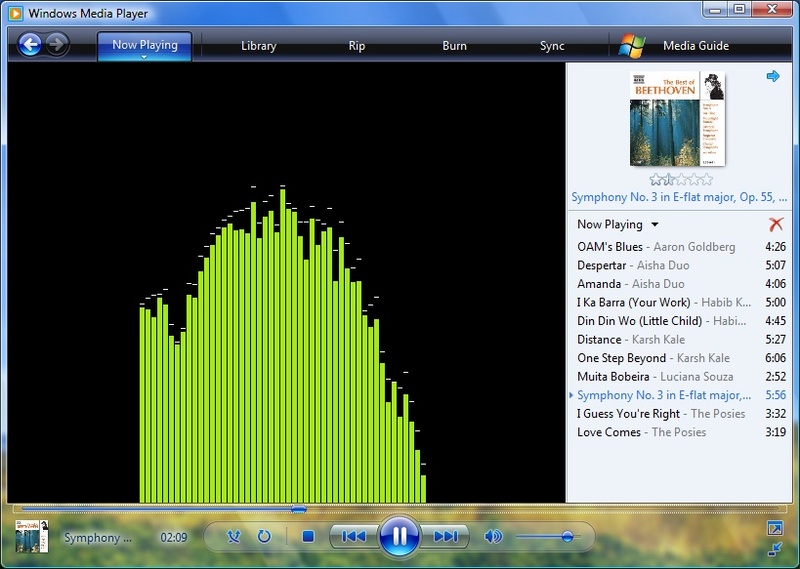 Open Start Menu -> Type “Sound” in the search bar -> Select “Sound“. 2. 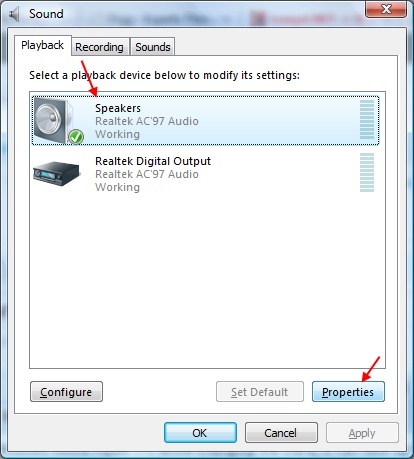 In the “Sound” window, select the “Speakers” and click the “Properties” button at the bottom right. 3. The “Speaker Properties” window will pop up. Go to the “Enhancements” tab. 4. 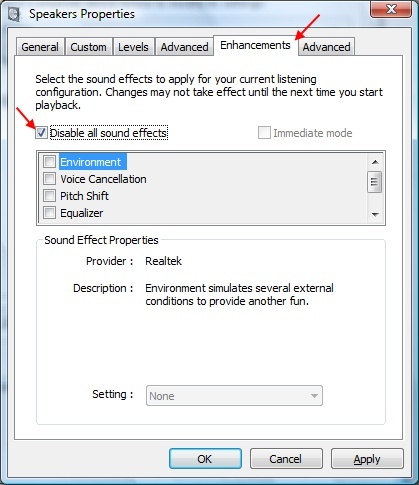 Make sure that “Disable all sound effects” option is unchecked. This entry was posted in Guide and tagged lag, vista, windows media player 11, wmp 11. Bookmark the permalink.